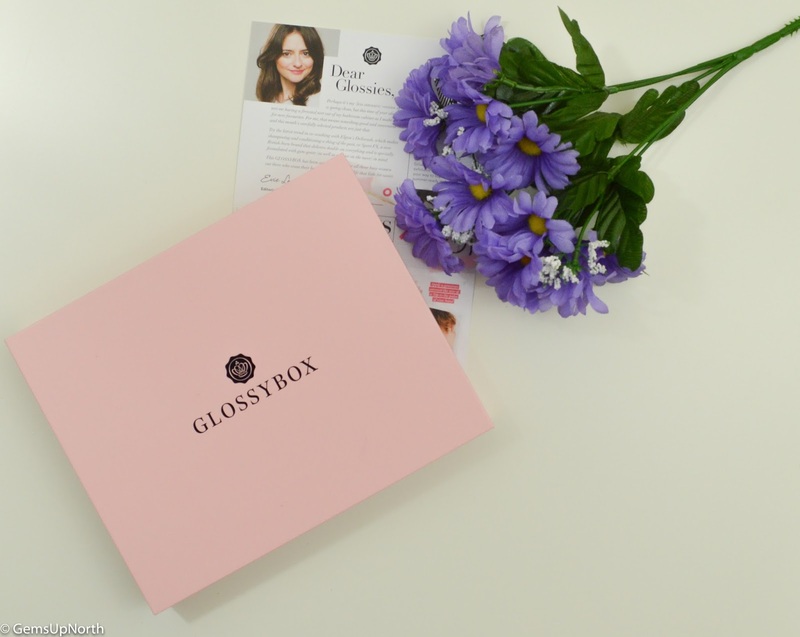 I've been a subscriber to Glossybox for 19 months now and it's been a good run... up until this year. I feel that my boxes have lacked somewhat since January this year and haven't been suited to my needs and likes as much as they once was. I was really close to 1000 Glossydots so decided to give Glossy a few more chances until I used my Glossydots. 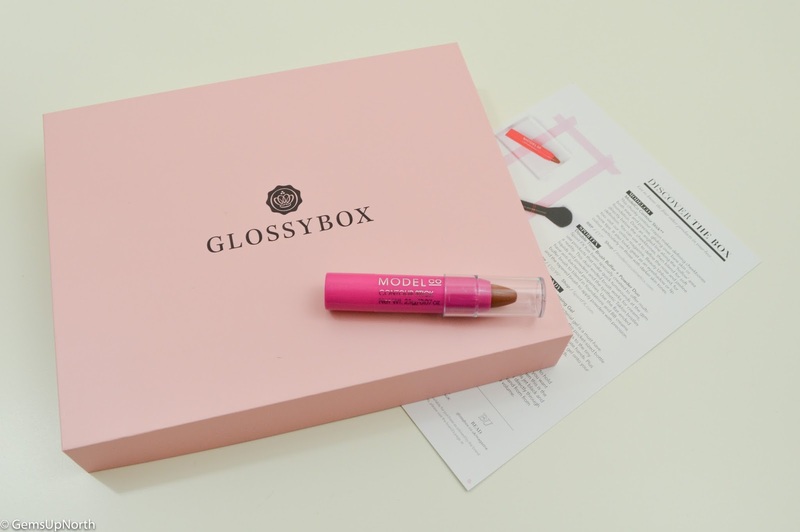 April was my second free box within the time I've be subbed to Glossy, each month if you fill out your product/box surveys you receive Glossydots and when you get 1000 you can claim a free box. As I've said above my last few boxes have been a little disappointing but I can say that Glossy have pulled themselves back into play with this months box. Filled with 5 items 2 of which are full size and I love it when beauty tools are included. I can't tell you how much I love Merci Handy's Cleansing Gel!! After discovering it through a beauty box I'm so happy to receive another bottle in this month Glossybox and in my favourite scent; Black Vanilla. This cleansing gel is the perfect sized bottle for popping in your pocket or smallest handbag but don't be fooled the product lasts ages because only a small amount is needed to cleanse your hands. The beautiful vanilla scent is present as soon as put a little on your hands and the tiny pearls inside the gel burst when your hands are rubbed together, leaving your hands clean, soft and smelling gorgeous! Whenever there's a beauty tool featured in any sub-box I'm always happy, I have a growing collection of makeup brushes especially and love adding more to it. This duo brush from SportFX was created to ease the quick turnarounds from the gym to office or a night out. Although this brand seems focused more towards gym goers I feel it's a great brand for travelling too because they create products to save time and space. 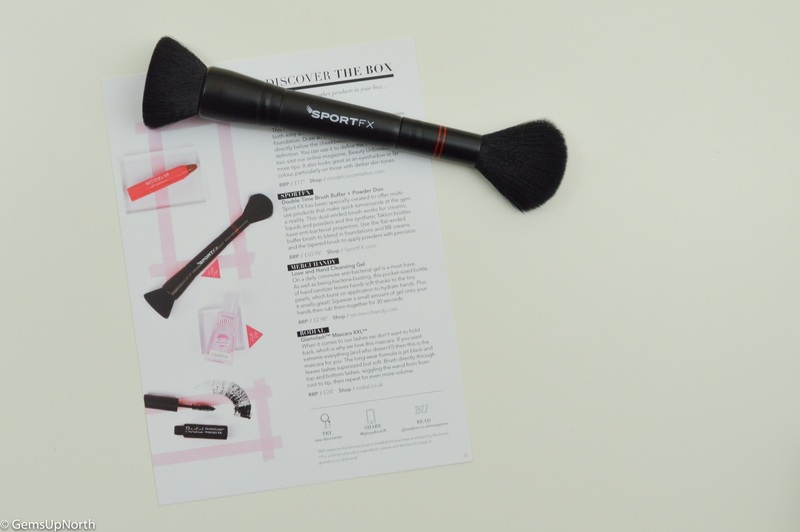 The sporty element is clear in the packaging and design of the brush too. Each end of the brush is soft and easy to use, the buffer end is denser than the powder so you can apply foundation flawlessly and then use the powder brush to apply Contour/blush/setting powder etc. I'll definitely be taking this away with me especially to my summer festivals. ModelCo was also featured in Birchbox this month and as I've said in that review here; ModelCo is a little overpriced for what the products are in my opinion. I'm not really impressed with this contour stick from them either, although this smaller size is a decent size I'd never pay the full price for it. 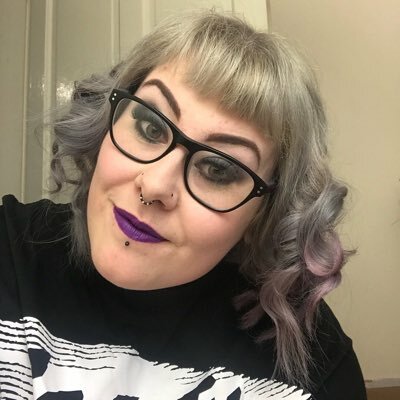 I found the texture of the product to be creamy and blendable but the shade is so dark on my pale skin and I think everyone got the same shade. I read on the Glossybox site that you can use it on your eyes too but I tried this and because of the super creamy texture it soaked into my eye creases and didn't look good at all. I don't think ModelCo is for me. I'm always surprised by Rodial products because they can sometimes look just like a regular 'same as the rest' products but then you use them and it's fantastic. Rodial is another brand I discovered through beauty boxes and like I've said I'm always surprised and impressed by the brand. This Glamolash mascara has a brush like wand that's shaped straight but it still catches all my lashes and coats them with jet black mascara. I only needed to apply a couple of coats to really get an enhanced Lash look! This mini sized tube is a handbag mascara and is fantastic for taking on a night out not that any top up's are needed. This cleansing conditioner from Elgon is safe to use everyday and has the cleansing elements of a shampoo whilst conditioning the hair. To me it's like a 2 in 1 however I find my hair doesn't suit these sort of products. I've used this a couple of times and love the scent, it's got a fruity and fresh scent that you find in professional hair care products; it does make me think of the hairdressers. My hair did feel conditioned after using this product but I felt I still needed to wash my hair in my regular shampoo so I'm not sure this would revolutionise my shower routine like the Glossy content card said. After a few disappointing boxes from Glossybox they have put together a good box here and I really like 3 of the products; Merci Handy, SportFX and Rodial. Next months sneak peak shows a coffee scrub from Scrub Love, I haven't tried one of these scrubs before that will be an exciting product to try. What was your favourite item in this months box?